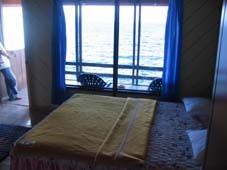 Reggae Guest House has 6 rooms right down on the Lake. You can practically jump from the front door into the lake. 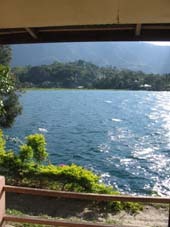 The restaurant has the best views of sunset over Lake Toba. 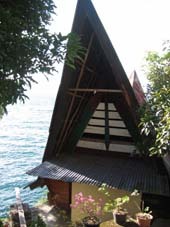 They have a combination of standard rooms and 2 traditional Batak houses right on the lake. The Batak house with cold water is 80000rp/night. Not so cheap place anymore. I would recommend some other place instead. This is the best spot for swimming. Lucky can make great meals and the panorama from the restaurants terras is perfect. Though the only good room is the batak house. If it is free you should stay here. 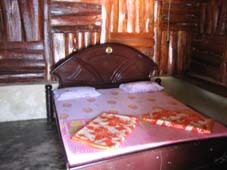 Have you stayed at Reggae Homestay?